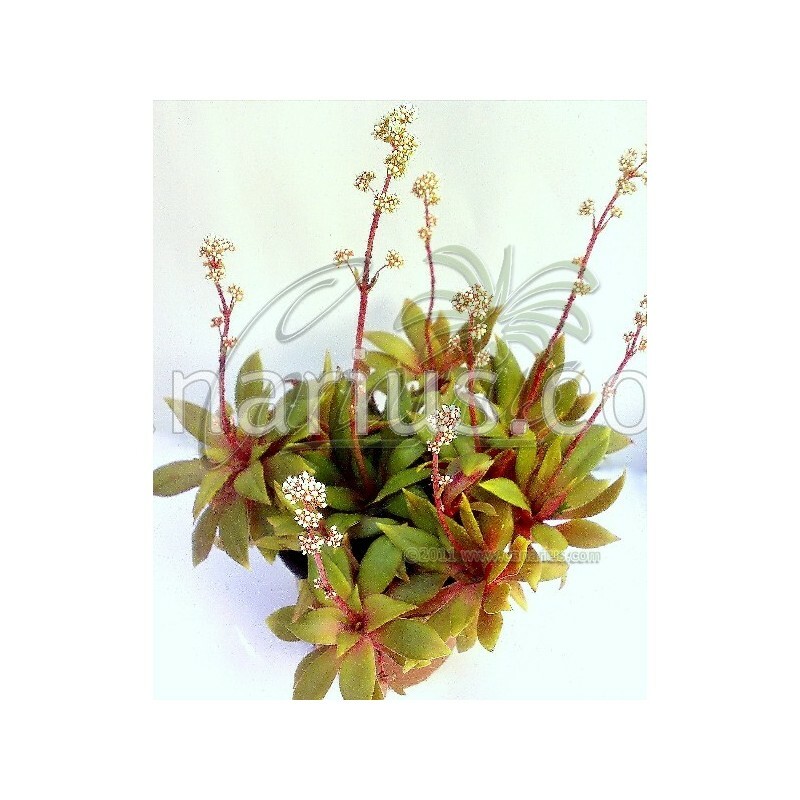 Clumping Crassula with green flat leaves, purple on the lower face, with ciliate margins and acute tip. Terminal ascending inflorescences to 15-20 cm. The whole plant becomes more purple when stressed in hot sun or in cool temperatures. 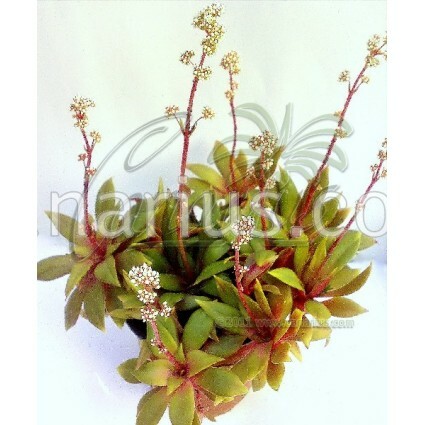 Clumping Crassula with green flat leaves, purple on the lower face, with ciliate margins and acute tip. Terminal ascending inflorescences to 15-20 cm with several dichasia. The whole plant becomes more purple when stressed in hot sun or in cool temperatures. This variety rosularis looks very different from the typical variety orbicularis.